Leftover food from your holiday party? I'm guessing your refrigerator is full of leftover odds and ends from holiday parties or family gatherings. Typically when I'm looking for a recipe, I try to choose something that I already have the ingredients for, or at least I know I will use. I hate to waste food. I'm a bit OCD about it. I'm guessing it comes from years of my mother reminding me of the starving children all over the world. I'll go to great lengths to use or preserve food. If I can't preserve it, I put it with the yard waste to turn it into compost to give it some purpose. This year I hosted a holiday party which of course means lots of appetizer recipes. I made these yummy spring rolls, which were a hit by the way. I ended up with more than half a head of red cabbage (the red cabbage provided awesome color in my spring rolls). Cabbage isn't something I typically use so I searched for recipes. 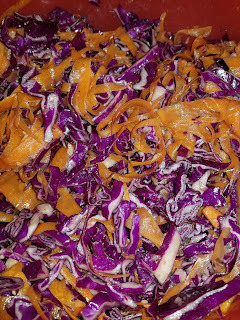 In addition to several grilling and sauteing tips I found some pictures of really pretty coleslaw. All you need is the cabbage and carrots to make a gorgeous raw veggie dish. While the recipe calls for grating the cabbage and carrots, I usually take the easy route, so I chopped the cabbage and used a peeler to make thin pieces of carrot. Just make sure to keep the pieces small. You don't want cabbage hanging out of your mouth with each bite. If you love the traditional creamy coleslaw dressing, check out this Homemade Coleslaw recipe. I tried a lighter combination with a vinaigrette. I had to adjust the quantity of the ingredients as my cabbage head was huge, these numbers are good for a small head. You'll want enough dressing to lightly coat the slaw. Too much vinegar can be disastrous. You can dress it up with parsley or green onion. Give this a try and let me know how you like it!! More holiday leftover ideas to come. 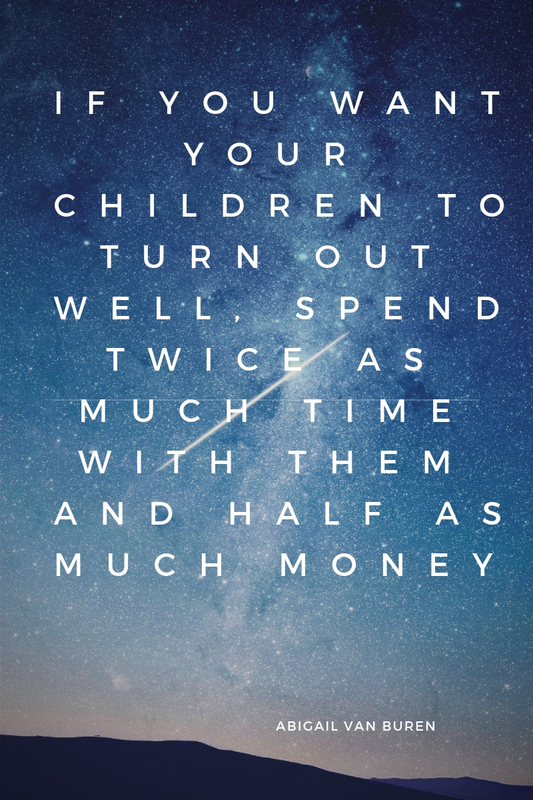 I have always been a frugal person and I really had to put it to the test when I quit my job to stay at home with my daughter about 10 years ago. 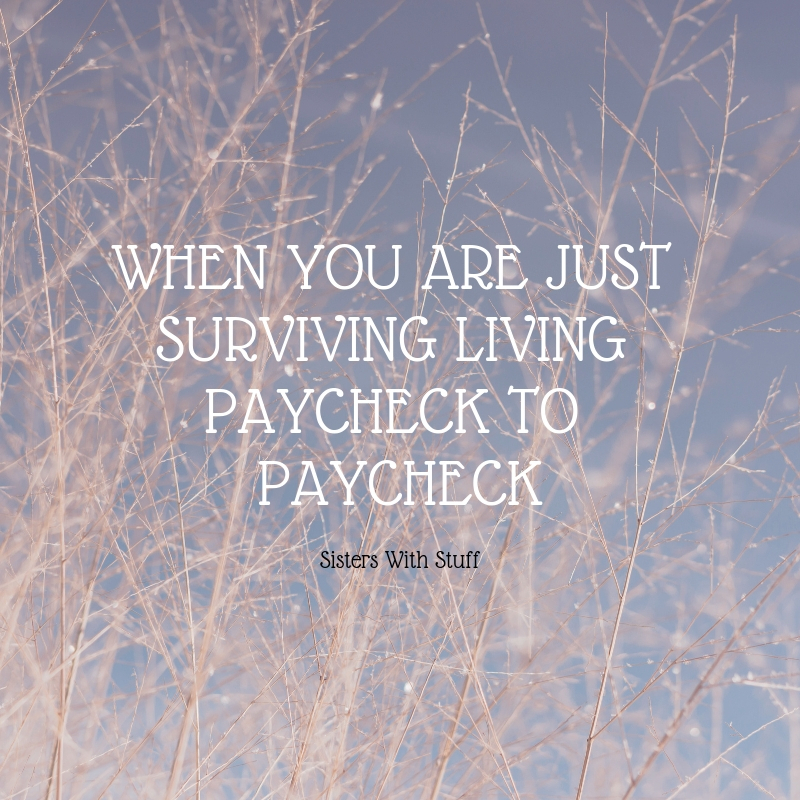 My Husband and I discussed how long we thought we could survive, we decided that when we started dipping into our savings account then it was time for me to go back to work. 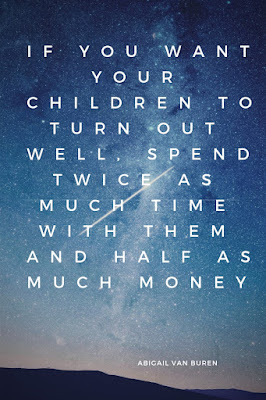 Well believe it or not 10 years later we have not dipped into our savings account, we've actually saved more money, I am working a small part time job but I'm home in the morning to take my daughter to the bus and I get home right around the same time she gets home. 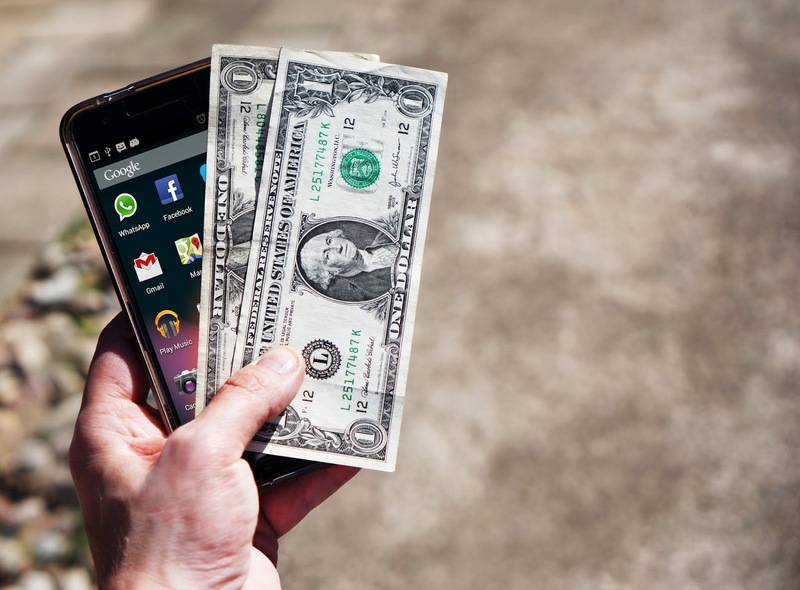 I've also been a financial counselor teaching women how to create a budget and stick with it, the first thing I always emphasize is to build a $500 emergency fund and here's why. 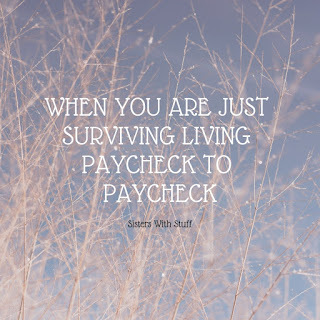 I've seen it where they are just barely surviving but they are working and keeping up with the bills and something as small as a dead battery or hole in a tire can totally throw off their entire budget and set them back months because of missed work and unplanned expenses. If you had a $500 emergency fund you would be able to replace that battery or get that tire fixed or take care of some other small expense without turning your life upside down for months trying to get back on track. Unfortunately it's not always less than $500 to fix things but it's a start or it's a down payment on something. So how do I stop living paycheck to paycheck and put $500 into an emergency savings account? The simplest thing is to go to your bank if you have a bank account and set it up so a fixed dollar amount comes out of every paycheck and goes directly into your savings account, even if it's only $5 or $10 to start out with, it's painless and you don't have to think about it and before you know it you'll have a substantial amount and you'll want to see it grow even more. LEAVE IT ALONE, don't touch it, don't dip into it to buy anything else unless it's an absolute emergency, pretend like it's not there. If you don't have a bank account force yourself to take $5 or $10 and put it in a separate envelope and hide it or put it away somewhere that you won't take it out and use it. When you are tempted to use it think about how amazing it would feel to have a little bit of savings and not feel so stressed out and worried every month. Having an emergency savings is just one small step, you will have to make cuts, I'm sure you've cut out a lot of things already but you can always take another look. A no brainer is coffee, everyone always says stop buying coffee every day and make coffee at home but think about things like energy drinks or sodas. If you are stopping everyday at a convenience store to buy an energy drink or soda I can guarantee you are paying at least 3 times more than if you bought larger quantities at the grocery store and brought it with you every day. Look for sales on cases of energy drinks or your favorite soda, keep them in the fridge and just grab one on the way out the door. Lunches are another huge expense that you might not think about, even if you get cheap fast food you are still spending more than if you packed your lunch and it's better for your health. You will also save on gas and wear and tear on your car if you aren't leaving work everyday to go buy lunch. Where I work I don't have enough time to leave and get lunch so I pack my lunch every single day, it takes extra planning and time in the morning or the night before but I like the feeling at the end of the week when I can say I didn't spend a cent all week long. Shopping could be an entire post of it's own but here's a few of the highlights: stop buying convenience food and packaging, you save so much money by doing things like cutting up your own carrots instead of buying single serve bags of carrots or cut up your own apples instead of the single serve apples, buy the big tub of yogurt and put it in a small reusable container, buy big bags of chips and make your own snack bags instead of the singe serve bags. Anything that is in the single serve packaging is more expensive and fills our landfills with tons of plastic and packaging. I wrote a couple great articles with lots of money saving ideas... Simple changes to your shopping to reduce your grocery bill. When you are cooking meals try to use real ingredients instead of opening up packages, something as simple as roasted potato's and chicken thighs and a steamed vegetable not canned can cost $5-$10 depending on the size of your family and you might have leftovers for someone to take for lunch the next day. See how I cut up a whole pork loin and make meals for $5 or less for an entire meal. Here's another article I wrote with some more interesting money saving ideas..... More quirky ideas to save money. When I grocery shop, I look for deals on items that I know I'm going to use eventually so I stock up when it's cheap. I always have it on hand so I don't run out and have to go pay full price for the item. I'm not always a brand snob, some things I might be picky about but if it tastes the same and I can get it cheaper by purchasing another brand than I will do it. I also shop seasonally, in the fall apples and different kinds of squash are in season so I buy those, I don't usually buy items that are not in season and are really expensive. In the summer, berries and watermelons are fresh and inexpensive so we eat a lot of those. Some things like bananas and broccoli and celery and onions are year round so I buy those every time. Download the grocery store apps, most stores have them now and they offer additional savings and coupons that you can load ahead of time, some of them start tracking the items that you normally buy so they send personalized deals for those items. There is a lot of apps out there that you can use to make extra money on groceries, the 2 that I use most of the time is ibotta and Checkout 51. I've earned $639.52 back from ibotta over the last couple of years, go ahead give it a try, here's my ibotta referral link. I've earned $199.70 over the last couple of years from Checkout 51, I can get cash or pick out a gift card. Start thinking about things that you don't need to absolutely to survive, you don't need paper towels....yes they are nice to have but you could survive without them, start using rags and washcloths and see how much you could reduce your paper towel habit. Paper napkins is another thing you can live without, fortunately I am able to sew my own napkins and I used inexpensive fabric from the thrift store so I use very few paper napkins, I could probably quit using them altogether I just have a few on hand for guests. Fabric softener and dryer sheets are other items that you can do without, you shouldn't be using fabric softener for a lot of things like towels anyway, use vinegar in the wash, it doesn't leave a bad smell and it softens clothes without leaving all the chemicals in your clothing. I don't use or buy fabric dryer sheets, I just don't need them. When it comes to laundry soap I only use about 3/4 of the recommended amount on the bottle, my clothes come out just as clean and my washer isn't working so hard to get rid of all the suds. You can try this with shampoo and conditioner, try to use just a little bit less when you pour it in your hand, it may take a few seconds longer to lather up but it gets your hair just as clean, more doesn't always mean better or cleaner. Buying cleaning products is expensive but you can clean most things in your house with vinegar and baking soda and both of those items are very inexpensive to buy. Make a window spray with equal parts vinegar and water, clean your microwave with a small bowl of vinegar and water, heat it until the liquid boils and it makes all the stuck on food particles soft and easy to wipe off. Freshen stuffed animals and pillows that can't be washed by putting them in a large plastic garbage bag with a few sprinkles of baking soda, shake well and then let it sit to absorb odors. Shake well to to get rid of the baking soda when you are finished. Make little sachets, take a coffee filter and fill with baking soda and tie it closed, put them in places like shoes and closets to absorb moisture and odors. These tips are not going to make you a millionaire but if you can make it a way of life you can start putting the extra into your savings account even if it's just small amounts it will give you the incentive to try to save more and before you know it you could have a substantial amount to start paying off debt or pay for braces or buy a house.....it's your money to do whatever you want with it. I am fortunate enough to have a few cruises under my belt, we have been on 14 cruises. We are cruise people.....meaning we love everything about the cruise experience. We have been able to travel to some amazing places including Central America, The Caribbean, Mexican Riviera and Alaska. 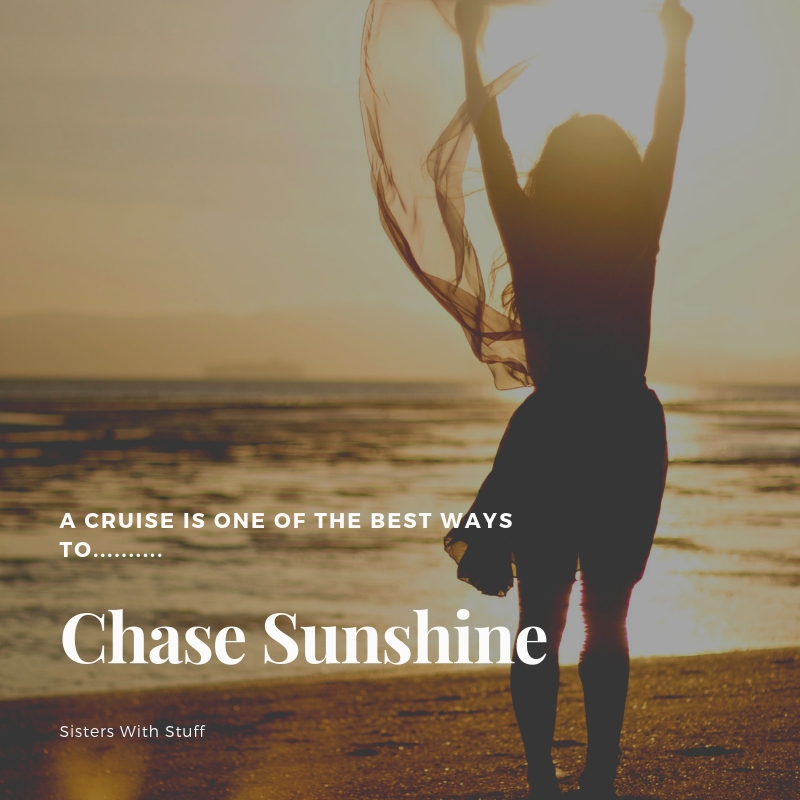 We've also been able to try different cruise lines but we generally stick to one in particular because we seem to find the best rates with them and cruise lines have loyalty programs so staying with one cruise line gets you VIP benefits. I would say the first thing when deciding on a cruise is to "get a guy or gal", call the cruise line and get a personal cruise consultant. We have a guy that we have talked to for at least 5 years that is our main point of contact at the cruise line, he calls us several times a year with deals and offers and when we are ready to book our cruise we call him and he customizes the cruise to fit our needs, price, cabin location, dinner times etc. Cabin type and location vary depending on your preferences and how much you want to spend, we have tried interior, ocean view (window), balcony and mini suite. An interior cabin on a lower deck is the most economical choice but keep these things in mind when considering one of these cabins..........way down low in the ship tends to be closer to the engine rooms or anchors so they can be noisy very early in the mornings when they are using the propellers to dock the ship at the ports, it is generally quiet when you are at sea. If you need sunlight to regulate your sleep rhythm then an interior cabin is not for you, if it's a 3 or 4 day cruise it's probably ok but if it's 7 days or longer the lack of sunlight can affect your sleep pattern. Everyone is different so you might be totally fine, I just know for me the lack of sunlight made it hard for me to sleep, I would wake up super early and constantly check the time because I didn't have light to tell me that it was morning. An ocean view cabin will cost a little more than an interior but can still be a very economical choice with the benefit of a window or porthole. Of course a balcony is more money and honestly I love having a balcony so much that the extra money is worth it. I have coffee delivered to my room everyone morning (that is a free service) and I sit out on my balcony and drink my coffee and just bask in the extraordinary feeling of being on the ocean thousands of miles away from everyday life. Being prepared can save you a significant amount of money, make sure to bring your sunscreen and toiletries otherwise you will be cursing yourself for forgetting and having to pay $20 for a small bottle of sunscreen or $10 for deodorant. I always bring a lanyard for my sail and sign card, I didn't travel all this way and pay all this money to carry a purse around the ship so having my lanyard with my sail and sign card around my neck lets me be hands free. 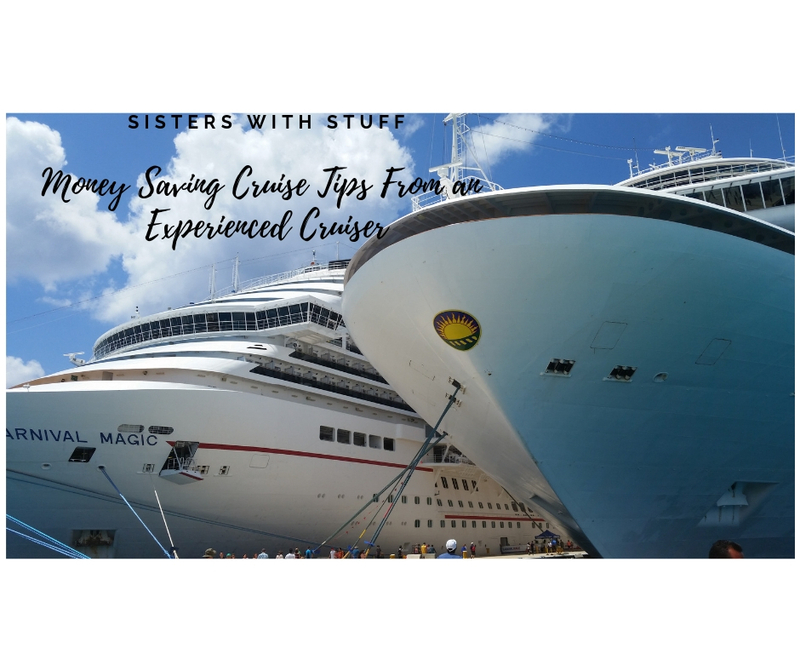 Alcohol can be very expensive on the ship, I've learned a few things that can ease the pain of that final bill that they slip under the door on the last night of the cruise with all of your charges. The ship is cashless, everything is charged to your sail and sign card during the cruise and you settle up at the end with a credit card or cash, it's easy to get out of control buying drinks because you just sign a piece of paper and voila drinks appear but they add on tax and gratuities to each drink so a $10 glass of wine on the bar menu becomes a $12 glass of wine after the extra charge. Each adult in your cabin is allowed to bring one 750ml bottle of wine or champagne, bring it with you in your carry on when you board the ship, don't put it in your suitcases that you give to the porters. All the luggage collected by the porters and delivered to your room in several hours is put through xray machines and if they find alcohol they will confiscate it and you won't get it back. The wine that you brought in your carry on can be enjoyed anytime in your room (bring an opener) they provide wine glasses and I walk around the ship drinking my wine and go back to my cabin to refill. You can bring your wine to the dining room to enjoy, give it to your waiter and he will open and serve it, they do charge a $15 corking fee for each bottle opened, don't worry if you don't drink it all you can take it back to your room or they will store it for you to have the next night with dinner. If you want to order wine from the menu I would recommend buying an entire bottle instead of by the glass, you get more for your money and if you don't finish that night your waiter will put your name on it and store it in the kitchen and bring it out the next night for you to drink......trust me it won't go to waste!! Check your "What's Happening on The Ship" for special free drink times or deals on drinks at certain bars. They always provide free champagne at the art auctions, you don't have to buy anything you can just drink champagne and peruse fine art. They also have martini tasting or craft beer tastings in certain bars on the ship, these are not free but you usually get quite a bit for a small price and you get to try things you might not have ever been brave enough to try before. If you go to excursion talks or shopping talks in the theater they always ask for volunteers to come up on stage and they generally give you a bottle of free champagne so if you are comfortable volunteer, volunteer, volunteer! Excursions can be the best part of your entire cruise, you stop at all these exotic ports and you can visit ancient ruins or go zip lining or climb down into underground caves and float along hidden rivers. You can visit plantations and rum and tequila making factories, swim with dolphins or take jeeps through the jungle or snorkel on an a reef. There are so many things you can do but they can get very expensive. If you just want a city tour you don't need to pay $85 just to go shopping, take a taxi or a bus, there is usually all kinds of transportation readily available right where you get off the ship. 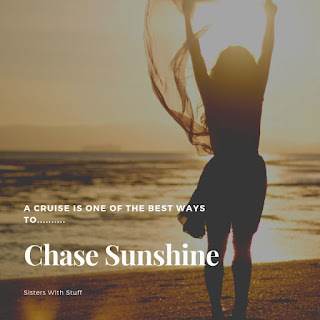 When you buy an excursion through the cruise line you have the security that you will get back to the ship in time and will be safe, I recommend doing that your first few cruises until you learn what is offered at each port. We don't usually go on the cruise excursions anymore, we buy basically the same thing right when we get off the ship with private tour operators, you have to be very careful and smart about who you deal with and always triple verify that you will be back to the ship on time. We've been able to go to some really fun places because it might just be a van with 2 or 3 couples instead of a huge busload of people and the driver can take us wherever we want and customize it to our interests. Again be very careful, they should be operators that have clearance to be in the secure area right outside the cruise ship. 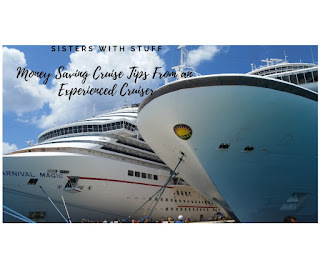 Spending money and shopping on the ship: You think when you buy the cruise that all your food and accommodations are paid for so you won't spend much more......that is so far from the truth. They will try to get you to spend more money around every corner. There is Bingo, casino, after hours kids club or yours want to do build a bear, there is premium restaurants that aren't included in the price of the cruise, They have a small mall where they put out jewelry, clothes, perfumes, watches, memorabilia etc..and it's on "clearance" so you need to get carnival tote bags and pj's and a gold bracelet because it's the last day of the clearance but honestly they do it on every cruise. You can pay to have your clothing dry cleaned or laundered, or you can rent a suit or gown if you forgot to bring your formal wear, you can buy flowers for your loved one and have a special cake brought to the dining room so they will sing Happy Birthday. It all just depend on how much you want to spend, we've gone enough times that we know what it worth it and what is not. Don't forget you've got gratuities at the end of the cruise that will add on several hundred more dollars. I'm just saying all this because you need to budget to spend money during the cruise as well, not everything is included. This small list doesn't cover everything, just a few of my tips, I can do part 2 and get into more detail. 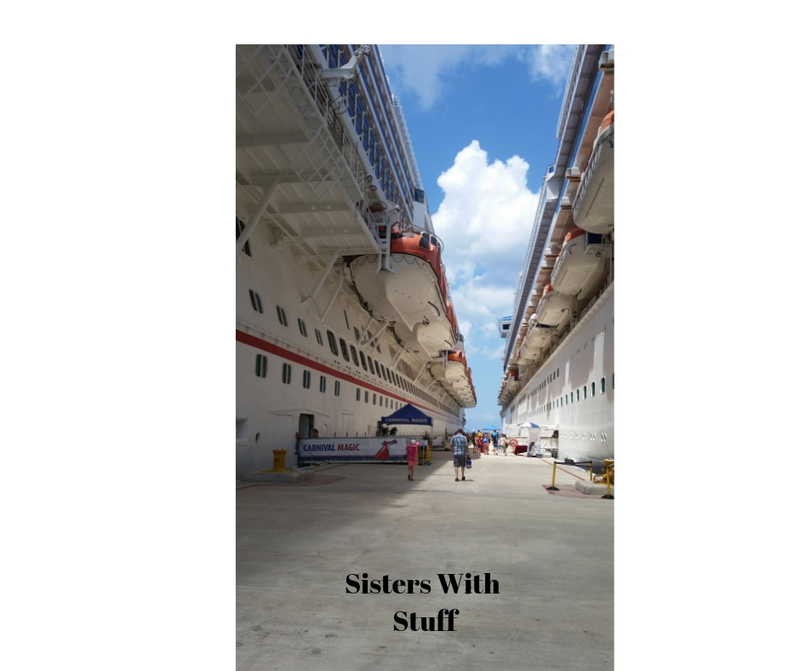 I can tell you that we have had some of our most amazing experiences on cruises and our daughter has been able to have those same experiences which is priceless to me. Is it time to start thawing that frozen turkey? 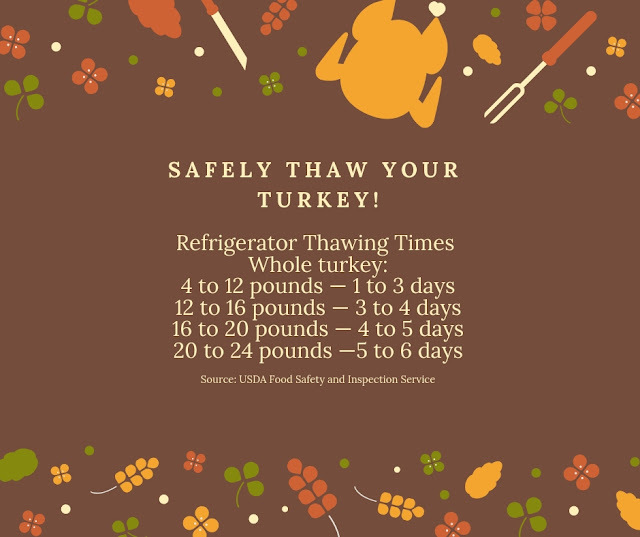 Here's a chart with thaw times depending on the size of your turkey. Keep these things in mind when you are thawing your turkey in the refrigerator. Make sure your refrigerator is at 40 F or lower. Leave the turkey in its original wrapper. Place the bird in a tray or pan to collect any juices that leak out. Keep it at the bottom of your refrigerator so any leakage will not contaminate anything below. Check out this hot deal on Amazon on this adorable Woodland Owl White Noise Sound Machine & Sleep Aid Night Light. This wise old owl can help soothe your baby to sleep, plays 10 different lullabies and turns off after 30 minutes. Press the night light to project a colorful galaxy of stars on the wall or ceiling. This Woodland Owl White Noise Sound Machine and Night Light won't last long at this price $21.54 shipped Regularly $43.43. Head over to Amazon to check it out!